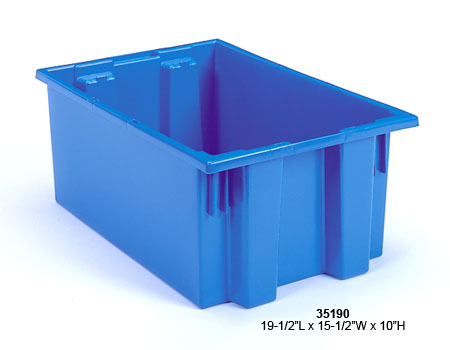 These nestable and stackable plastic tote bins from Akro-Mils are extremely durable and are ideal for shipping, transfer and storage applications of all kinds. 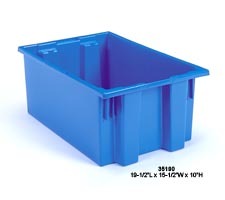 These totes can be stacked with or without lids and then stacked into large piles when not in use for easy storage. 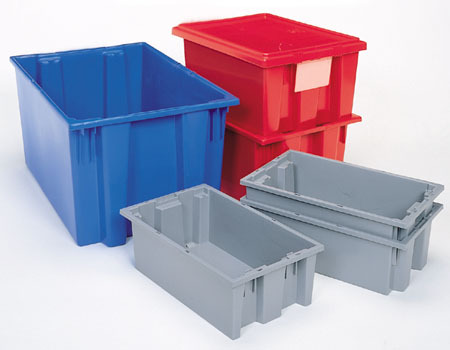 Made of a strong high-impact polypropylene, these totes will not rust, corrode or bend out of shape when fully loaded. Totes are sold in carton quantities only. 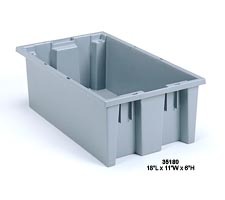 Total number of totes is listed in the product tab. Dimensions in product list are outside dimensions. 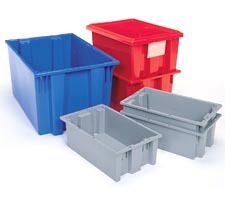 Standard grey, red and blue bins are available online. 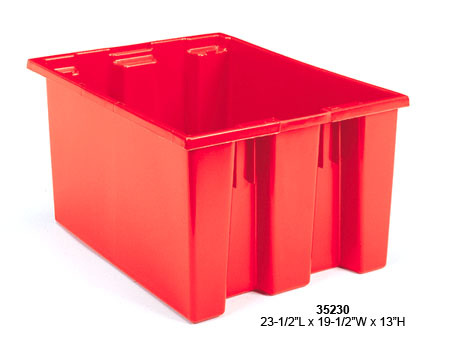 Heavy-duty construction provides a longer service life, resulting in lower replacement costs than other "budget-priced" totes. Smooth surfaces are easy to clean. Comfortable grip makes handling easy. Textured bottoms provide a no-slip grip on conveyor belts. Ribs under the lip will prevent jamming when nested. Shipping information and costs for this item will be emailed to you when you submit your order. No orders are processed prior to ship costs being sent to and confirmed by you. When possible, these totes will ship via UPS. 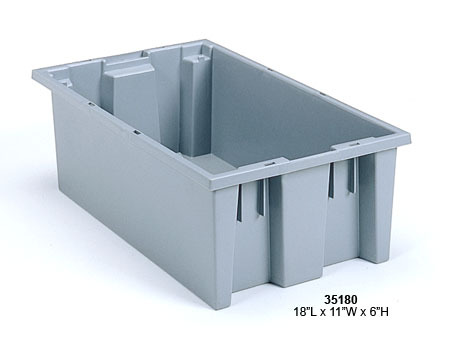 Larger quantity orders may be shipped via truck freight to save money on overall freight costs. This manual lift has a low-profile ground entrance feature that offers easy material transportation with minimal lifting. 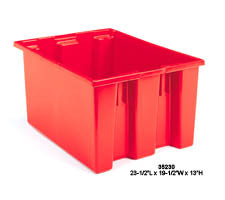 Very durable industrial grade nestable and stackable totes are great for transfer or storage.